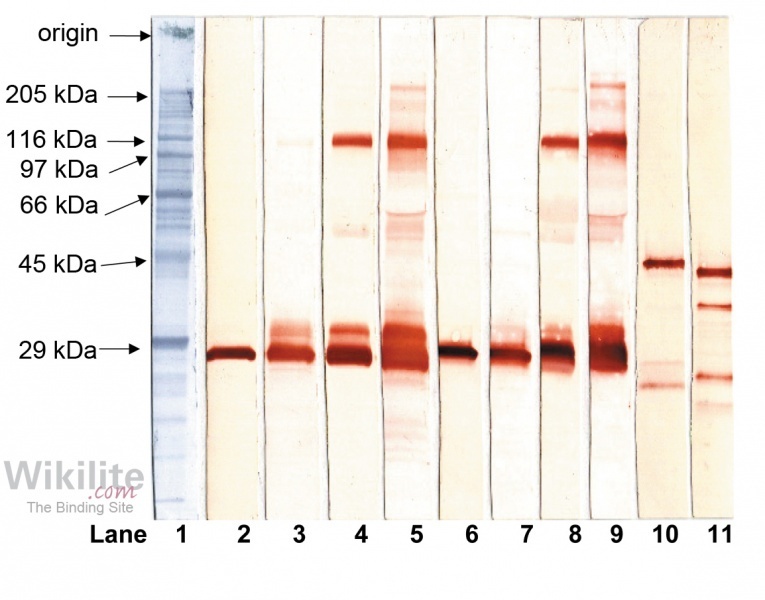 Western blot analysis is a sensitive technique used to assess the reactivity of the antisera against immunoglobulin fragments and FLC polymers. The results showed that both κ and λ FLC antisera reacted strongly, with two closely migrating bands at 25 - 30 kDa, and weakly with several larger and smaller molecular weight fragments. Similar staining patterns were observed using monoclonal antibodies. The FLC antisera were readily able to detect monomers and dimers of both κ and λ molecules (Figure 5.3).